De Resistance Movement heeft via Cobra de mensheid opgeroepen om wereldwijd elke week een gezamenlijke meditatie te doen om de bevrijding van de planeet te bespoedigen. Het is heel belangrijk dat een zo groot mogelijk deel van de mensen hieraan meedoet (in NL elke zondagavond om 20.00 uur). Voor de instructies: als je hier klikt ga je naar de youtube met de instructies in het Nederlands, en hier vind je de tekst. Na het succes van de Event meditatie op 21 november 2015 hebben de Lichtkrachten geïnstrueerd om de wekelijkse bevrijdingsmeditatie te veranderen in de Wekelijkse Event Meditatie, om de focus te veranderen van het proces van bevrijding, naar het zich zo spoedig mogelijk manifesteren van de Event. Dus: in Nederland elke zondagavond om 20.00 uur. Deze meditatie helpt de Lichtkrachten om de energie van Licht te gronden op de oppervlakte van de planeet, om het Licht grit te versterken dat nodig is om het proces van compressie doorbraak te bespoedigen. Het aantal mensen dat deze meditatie doet is de enige meest beïnvloedende factor binnen de kracht van de oppervlaktebevolking om vaart te zetten achter de timing van de Event. Voor deze meditatie is een eigen website opgericht (Eng). Hier vind je de Nederlandstalige instructies voor deze Wekelijkse Event Meditatie. Als je daar behoefte aan voelt kun je na de Event meditatie verder gaan met mediteren met de voormalige Wekelijkse Bevrijdingsmeditatie – zie hierboven – (of specifieke delen van deze meditatie waartoe jij je voelt aangetrokken). Hieronder staan de Engelstalige youtube en instructies van de wekelijkse bevrijdingsmeditatie. It is of the utmost importance for as many people a possible to join our Weekly Liberation Meditation each Sunday. This meditation helps the Light forces to ground the energy of Light on the surface of the planet to strengthen the Light grid which is needed to speed up the process of compression breakthrough. Number of people doing that meditation is the single most influential factor within the power of the surface human population for speeding up the timing of the Event. Relax your mind and body by watching your breath for a few minutes. Visualize a pillar of electric blue Light emanating from the Galactic Central Sun, going through your body to the center of the Earth. Keep this pillar of Light active for a few minutes. Then visualize all negative entities around the Earth being removed from plasma, etheric and astral planes along with all their negative spiritual technologies and magical tools and all those entities being escorted into the Light by the non-physical freedom fighters of the Light.Visualize this process taking place worldwide peacefully and smoothly. Visualize the world finally being free from spiritual slavery, free from all evil Archons, Reptilians, demons, elementals and other negative non-physical beings. Visualize the vibration of the plasma, etheric and astral planes getting lighter and brighter until all dark beings are gone and only Light remains. Visualize members of the physical dark Cabal, such as central banking criminals Rothschilds and Rockefellers, and other members of this Cabal such as Henry Kissinger, George Bush, the Jesuits etc. peacefully surrendering and stepping down from their positions of power, releasing control over the financial system and the mass media. Visualize civil authority arresting those members of the Cabal that do not wish to surrender. 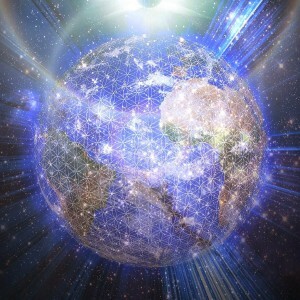 Visualize this process taking place worldwide peacefully and smoothly. Visualize the world finally being free from financial slavery, free from all evil dictators and corrupt politicians. Visualize a vortex of brilliant white Light descending from the Soul star chakra of Cabal middlemen (bribed congressmen, misled high level freemasons, greedy CEOs of companies, pilots operating killing drones, soldiers pulling the trigger, personnel operating scalar directional weapons, Academi mercenaries, religious fanatics…) into their energy field and their personality, awakening them to the reality of Light, guiding them to step away from the Cabal, giving them power to set themselves free from darknes. Visualize all those Cabal middlemen joining the planetary network of Light, putting down their weapons of destruction and deceit, learning to cooperate and joining the human society in a constructive way. Visualize bright new future for humanity, with new and fair financial system put into place, with all debts canceled, prosperity funds for humanitarian projects released, advanced technologies introduced, ecosystem healed and human beings finally being free from all oppression. Visualize bright spiritual golden age with angels, fairies, dolphins, unicorns, spiritual guides and other beings of Light inhabiting etheric and astral planes. Visualize all wounds of humanity being healed, all humanity being inspired and guided with everybody having their own connection with their own Soul and the Source. Stand up, lift your hands above your head and begin to rotate your body clockwise. While doing that, sing mantra iiii (pronounced ee-ee) so that it vibrates throughout your body and visualize your body morphing into a brilliant pillar of Light, with millions of rainbow coloured stars scattered within that pillar of Light. Keep singing the mantra and rotating. After a few minutes, drop your hands close to your body and continue rotating clockwise. While doing that, start singing mantra eeeaaa (e is pronounced as e in “process”) so that it vibrates through your body and visualize a rainbow vortex of Light expanding from your heart outwards throughout the whole planet. Call upon the presence of your spiritual guides, Ascended masters, Pleiadians, angels, twin souls, soulmates, soul families and other beings of Light. Keep singing the mantra and rotating and stay in the presence of all those beings of Light for a while. When you finish, sit down again, watch your palms for a few moments to reduce dizziness. Make yourself comfortable, surround yourself with a pink egg full of energy of Love. Surround your loved ones with similar pink eggs full of energy of Love. Embrace the whole humanity and all living beings of planet Earth within a pink egg full of energy of Love. Is deze ook in het Nederlands vertaald te lezen?